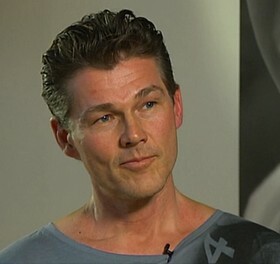 Morten on "God Kveld Norge"
Morten appeared on TV2’s gossip programme “God Kveld Norge” last night, to promote the UNICEF show. “When UNICEF asked me, my first thought was that I really wanted to participate. Jamaica was one of the countries UNICEF had in mind, and that’s where we ended up going. The humanitarian aspect is a natural reason to support the work UNICEF is doing, but there’s also a political aspect; what kind of world do you believe in?”, Morten told host Dorthe Skappel. 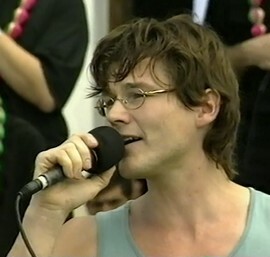 There is also an extra clip from the interview on the “God Kveld Norge” website, where Morten talks about the peace concert he did with Oslo Gospel Choir in San Martin, Guatemala in December 1997. Attended by both Guatemalan and Norwegian officials, including the Norwegian foreign minister, the outdoor concert was supposed to be a celebration of the peace agreement signed in Oslo a year earlier, to end the country’s long-running civil war. But things took a dramatic turn when three men, heavily armed with machine guns and hand grenades were captured by security personell during the concert. They had been paid a few thousand dollars to kill both local leaders and the Norwegian guests. Luckily, their plan failed. 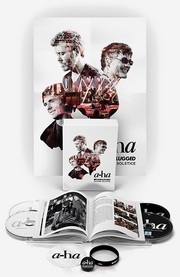 In the interview, Morten says that he had brought his two sons Jakob and Jonathan with him to Guatemala and that he also remembers a bomb exploding in the area when the terrorists were captured. “It was very unexpected. I’m used to consider all eventualities, not least because of my children, but those things took me by surprise”, Morten says.